In the past few days I have received many suggestions for my first homily in the parish. Whilst on retreat at Epiphany House in Truro, one of my fellow ordinands even suggested to me what to do in case I could not face speaking to you because of a panic attack or something... But, I think I’ll pass on all these colourful advices and stick to the Holy Scripture and the Church’s doctrine. 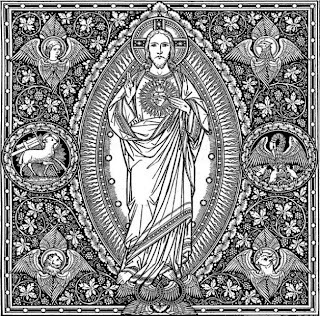 This evening I would like to reflect with you on the heart and centre of our salvation; that is to say, on that free, unquenchable love that Our Lord has for each and every one of us. I would like to start this reflection with the passage from the gospel of Luke which we have heard in our second reading. There is much that could be analysed here, but we’ll have to focus on the story of Zacchaeus. This is a generally well known story; it is often used in Sunday Schools and – if I remember correctly – there is also a children song about this short man from Jericho. Unlike many Sunday School games I would like divert your attention from Zacchaeus’ stature in order to focus on the interaction between Zacchaeus and Jesus; in particular, on the former’s pledge of repentance in the presence of Christ. Zacchaeus was a tax collector, but not any ordinary tax collector; he was probably the man in charge of collecting all the taxes in Jericho for both Herod’s puppet government and for the Roman Empire, the occupation force. He was a Jew, but in the eyes of the Jews he had turned his back to his people in favour of money and had betrayed his heritage to live the good life. In their eyes he was a sinner. However, Jesus approaches Zacchaeus freely, deliberately engaging with him at a deep and personal level. He says: ‘Hurry and come down for I must stay into your house today!’ Jesus wants to stay in with Zacchaeus even if this choice violates purity laws and it attracts the criticism and slander of those around Him. Noticeably, Luke does not specify what group of people criticises Our Lord; Luke simply says that these people are “those who saw” Him (Luke 19:7). Therefore, one could argue that some individuals in Jesus’ own crew may have been criticising Him; so great an offence would have been for a respectable Jew to eat and drink with a traitor and a sinner. Zacchaeus is only too happy to welcome Christ in his home, and he does so cheerfully and generously. He doesn’t do this just because he is intrigued and flattered at the thought of hosting Jesus; he is actively engaged by Jesus’ request. Zacchaeus pledges his entire fortune – not part of it, but the whole! – as a token of his availability to Jesus and as the outworking of his conversion. He acts freely in response of Jesus’ own presence in his house. Jesus does not ask anything explicitly of Zacchaeus apart from hospitality. In engaging the man, Jesus does not need to become judgmental or patronising. He is just there with the man in the very heart and centre of Zacchaeus illegal activities. Ancient societies prescribed to those who had taken money unrighteously to make a proper restitution by paying back the whole sum plus one fifth. However, the amount pledged by Zacchaeus – that is, the whole sum plus a three-fold penalty – was only required for convicted thieves; thus Zacchaeus acknowledges his own sin before Jesus and in humility he decides to make a fitting reparation according to the harshest customs of his time. Zacchaeus however, goes further than this. He is determined to give away also half of his possessions at the time when no Jewish custom prescribed such a hefty commitment to the welfare of the poor. In other words Zacchaeus makes reparation for the wrong committed and pledges amendment of life for the future. What did prompt Zacchaeus actions? What did he see in Jesus that made him turn his life around so utterly and completely? I want to put to you that Zacchaeus saw Jesus’ free love for him and this was what moved him to action. Zacchaeus saw as it were, Jesus’ heart which burns with unquenchable love for every one of us; a heart which speaks to us even when we are not able or don’t want to listen. In the initial moments that the two spend together Jesus heart speaks to Zacchaeus. Jesus’ love begins this dialogue and Zacchaeus freely responds by turning his life around, by repenting. On Friday, on the day of my diaconal ordination, the Church celebrated the feast of the Sacred Heart of Jesus. As a feast, it finds its more immediate beginnings in baroque Roman Catholicism, but we must not be misled by this. The Church’s veneration of Jesus’ Sacred Heart was a dear tradition of the British Isles until the Reformation and beyond. As a proof of this devotion the band of men which left St Ives in the Pilgrimage of Grace did so under the banner of the Five Wounds of Christ, one of which was Jesus wounded Heart. 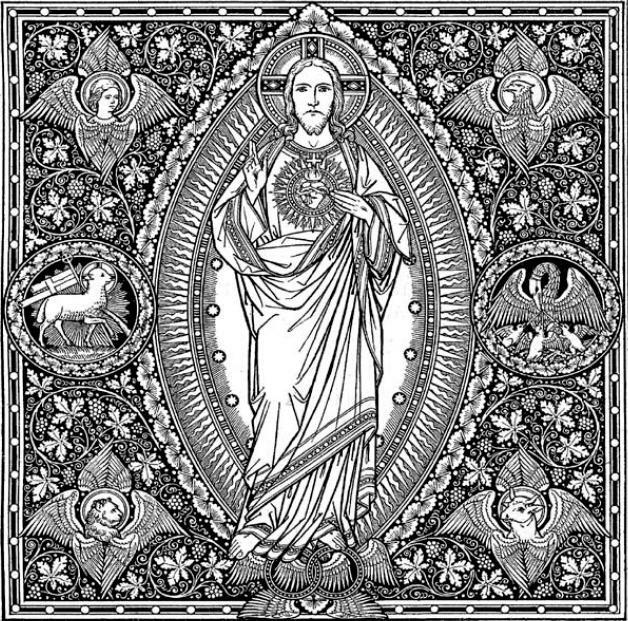 Medieval piety might not say very much to us today, but venerating the Sacred Heart of Jesus can teach us something about Our Redeemer and about His free, unquenchable love for us; whilst drawing us to contemplate the miraculous union of human and divine natures in the Jesus. When we venerate Jesus’ Heart, we are drawn ever closer of Him in the same way in which we could come to say, “I know him by heart”. There, in this contemplation our repentance and joyful service are the only possible answers our own hearts could give to our God and King, Jesus Christ. How can we do this? Zacchaeus was confronted with Jesus’ earthly and charismatic presence and this may have made everything more easy for him... Instead, we are confronted with Jesus’ Eucharistic presence, but this should not sway us. Jesus is equally there, awaiting our regular visits to make reparation for our lukewarm faith, our loving response, and for our contemplation that feeds a life of conversion. His heart burns in the Eucharist with the same divine love that say to each of us ‘Hurry for I must stay into your house today!’ In this way his Heart in the sacrament of the altar speaks to ours.